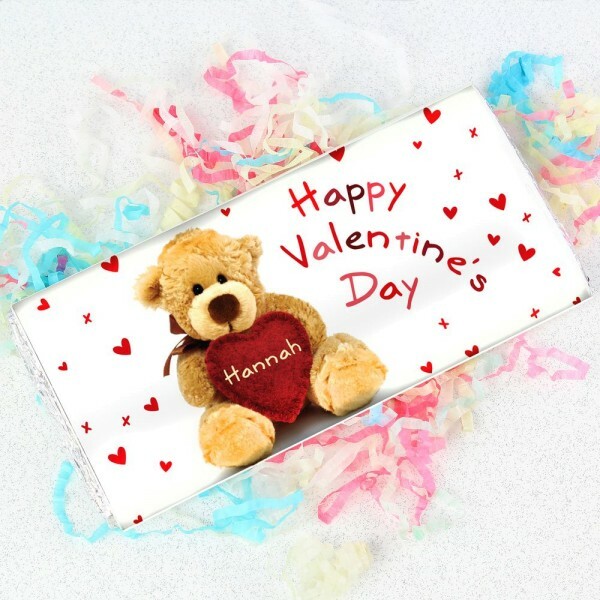 This cute Teddy Heart milk chocolate bar makes a special gift for a loved one. 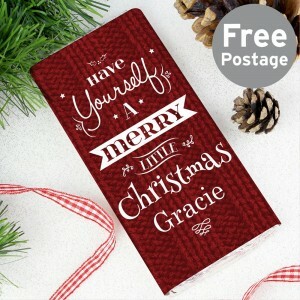 Personalise with a name on the front within the heart of up to 12 characters and a message on the back over 3 lines of 20 characters. 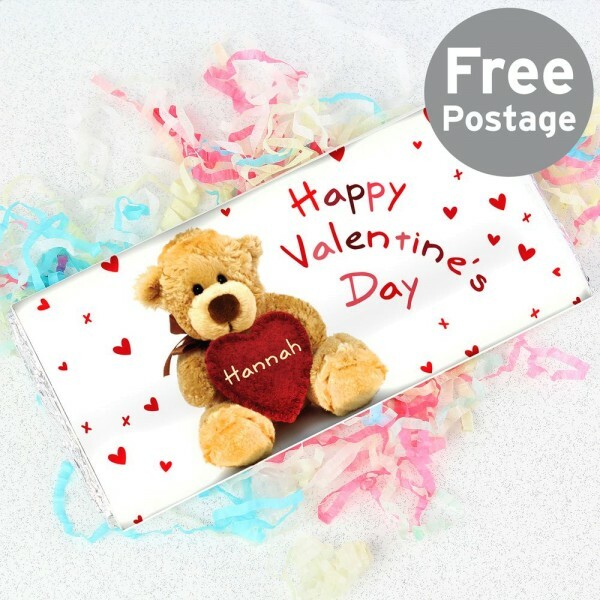 "Happy Valentines Day" is fixed. 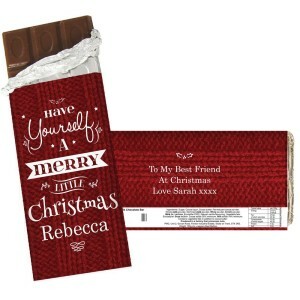 Milk Chocolate BarWeight 100g May contain traces of nuts. 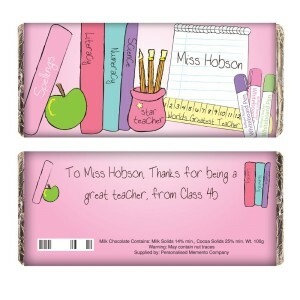 Our great value chocolate includes free standard delivery.